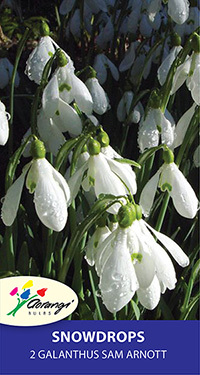 The earliest bulbs to flower, Galanthus prefer a moist, shady location beneath trees or shrubs. The first of the snow drops to flower, with more pointed petals. 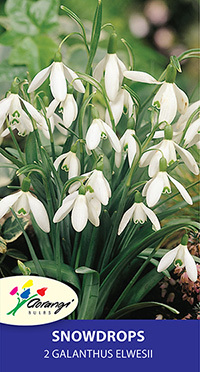 Often referred to as the ‘giant snowdrop’ due to its large flowers and leaves. Late winter flowering. 20 cm tall, pack of 2.